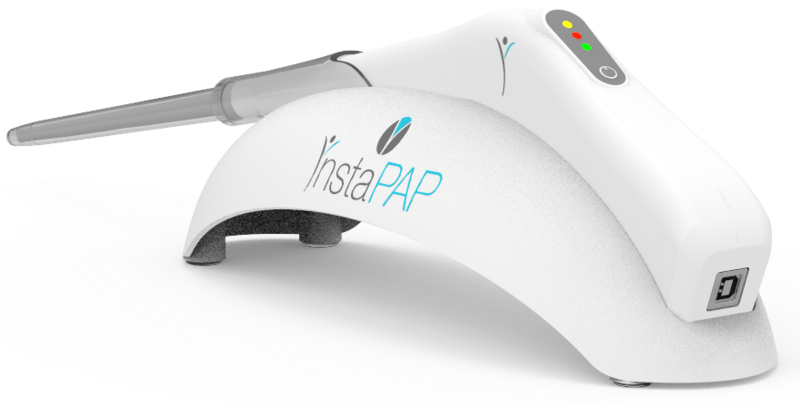 InstaPAP® is a revolutionary medical device that detects and prevents cervical cancer, even at its early stages. Unlike the Pap smear and other cervical screening methods, InstaPAP® does not require a tissue sample or lab work, eliminating the need of complex infrastructure and costs associated with traditional cytology. 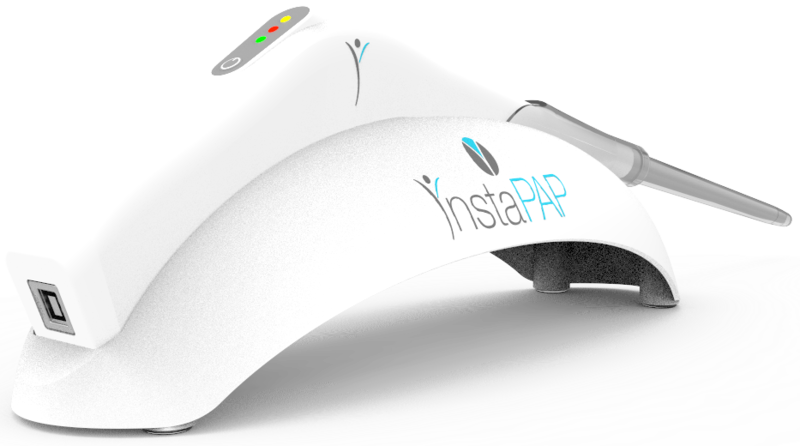 InstaPAP® detects any signs of cervical intraepithelial neoplasia or abnormal cells -even in early stages- in the cervix accurately and in real time, with a sensitivity greater than 90%. InstaPAP® does not require a tissue sample, and thus provides a more respectful and humane approach to cervical screening. At the same time, physicians get an immediate result, which reduces anxiety in the patient, and allows them to make the necessary decisions to ensure the patient's well-being, including starting treatment if necessary. InstaPAP® consists of a small probe that delicately and superficially approaches different points in the cervix in order to obtain optical and electric signs in the cervical tissue. InstaPAP®'s technology immediately analyzes that data and provides the physician with the results. Thanks to the use of wireless technology, InstaPAP® can connect to a personal computer or portable device and gain access to an exclusive platform that provides them with some of the patient's vital information, such as medical history, details of the cervical lesion (if any), suspicious areas, and many other features. With a sensitivity greater than 90% and the ability to provide instantaneous results without a tissue sample, InstaPAP® is a revolutionary breakthrough in women's healthcare. InstaPAP® is portable and can travel and be used even in unusual conditions. Additionally, InstaPAP® does not need complex infrastructure and eliminates the costs that are typically associated with traditional cytology. InstaPAP® provides the physician with immediate results, which reduces anxiety in their patients, empowers them to make fast and educated decisions to ensure the patients' well being, and reduce costs. InstaPAP®'s sensitivity is 90%, vastly superior to other cervical screening methods, including the traditional Pap smear. InstaPAPP®'s reliability is a revolutionary step in women's healthcare. 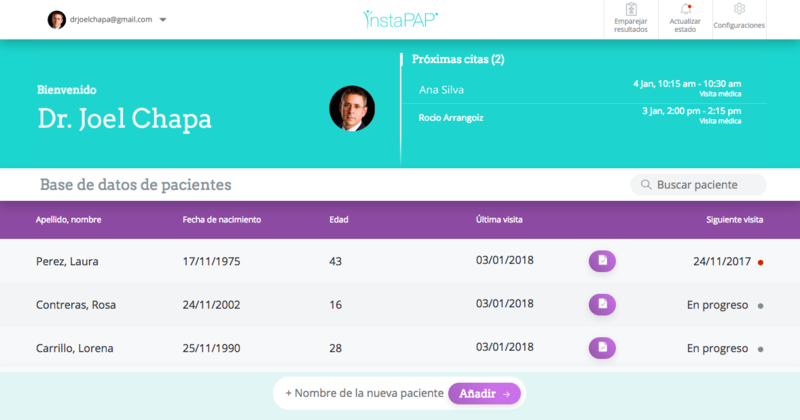 InstaPAP®'s cloud platform gives the physician an easy-to-manage database to all of their patients, with vital information such as medical history, cervical lesions (if any), and even the ability to schedule future appointments. InstaPAP® was created with women in mind, their well-being and their dignity. The test does not need a tissue sample, which eliminates the uncomfortable, painful and anxious process of brushing for a sample in the cervix. InstaPAP® is for every woman. Onko Solutions believes that access to new technology, inclusion and gender equality are paramount, and that quality healthcare should be accessible to everyone. Advanced Technology InstaPAP® combines multiple technologies that use intelligent systems and vector support machines. It also makes use of artificial intelligence, which eliminates the need for subjective interpretation. InstaPAP® has COFEPRIS approval, and the technology behind InstaPAP® has been tested in multiple countries around the world, including Australia, Italy, the United Kingdom, China and Indonesia. Studies have concluded that the test was associated with less pain and discomfort than the Pap smear. Women described the test as less invasive and prefer to have an immediate result. InstaPAP® is easy to use and requires minimal training. The test can be performed by a physician, nurse or qualified medical professional. 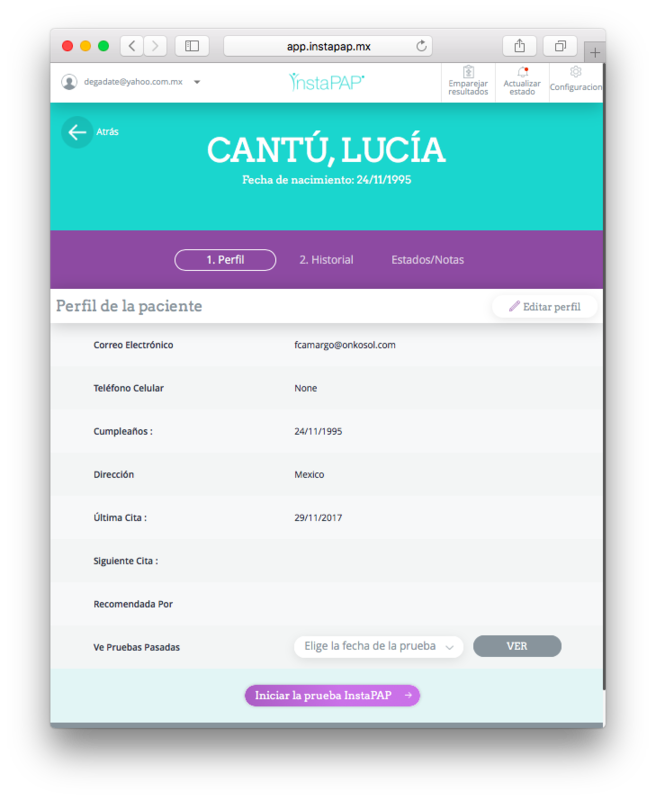 InstaPAP®'s Cloud Platform allows the physician to manage a database of all of their patients. 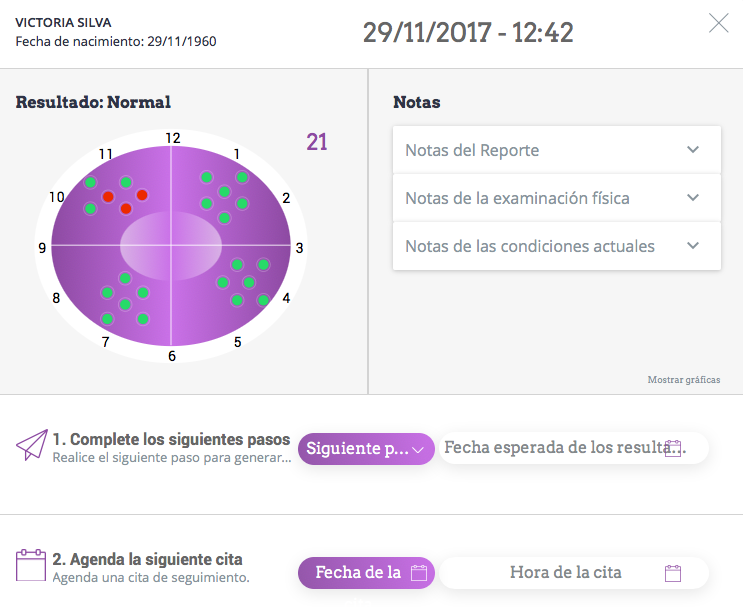 With just a couple of clicks, the physician can access vital information, such as the patient's past medical history, the most recent result, past results, area of the cervical lesion (if any), and it even allows the physician to order additional tests and schedule future appointments. Take a look at how the device works and the benefits the cloud platform provides in the following video. Fill out the following form and we will get back to you shortly. Copyright © 2018. Onko Solutions. 1701 Trinity Street. Health Discovery Building (HDB). 3.312-01. Austin, TX 78712 | Derechos reservados. | Financial Conflict of Iterest (FCOI) | Términos y condiciones.